Hello DAWGZZ, Canine/Harmony Here. I just wanted to say that we have an official Google+ Group. Hellooooo! Guess what pack?! I'm back! Ha, that rhymed because I'm a poet and I know it. Okay, anyways, I'M BACK. I was just really busy with school honestly, but now that my Summer has started I can start back with being involved with blogging, the pack, the book etc. I'm sorry for not posting but I'll be posting an AJ/Pack related post tomorrow hopefully so keep your eyes out for that. I guess that's all I gotta say. When did your guys' summer start? Let me know down below! 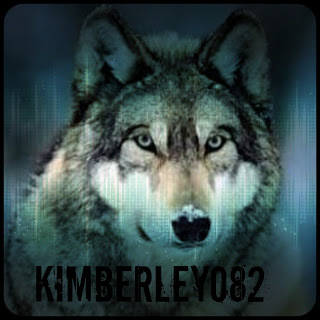 Anywho, that's it for this post and I'll see you wolves later, bye! 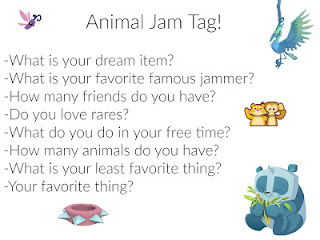 1: My dream item is the Silver bow and arrow. 4: Kinda... I dunno. I trade when I'm bored. Hey Guys! It's CanineClaw! I need a name for the Fire Pack Book, badly. If I can't find a name this blog can't continue so I need ideas! Please leave ideas in the comments below or I will start panicking! Also my posts will be longer on here soon! 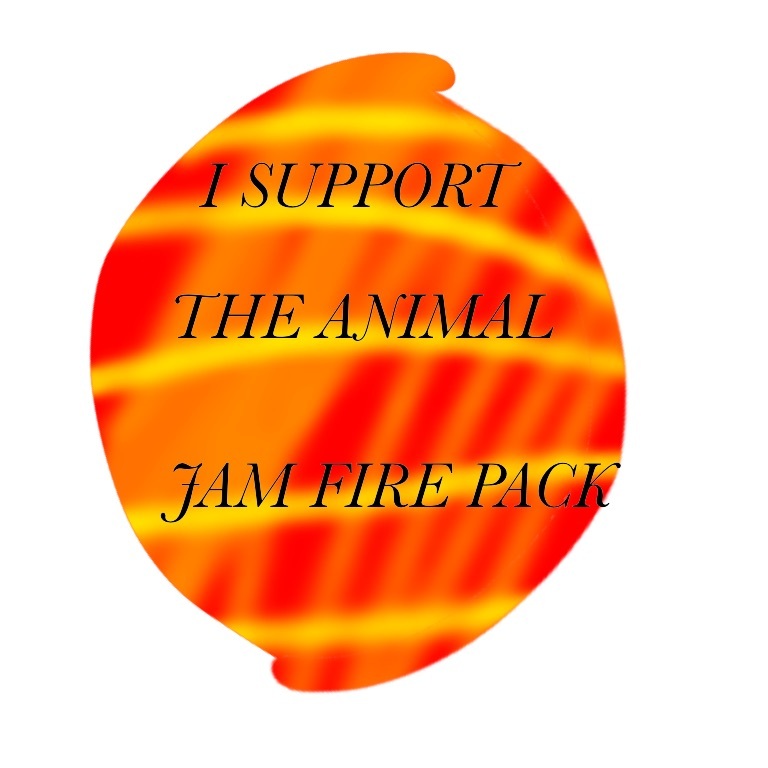 I promise but this blog just started so I'm a little slow at the moment, Tysm for sticking with The Animal Jam Fire Pack! 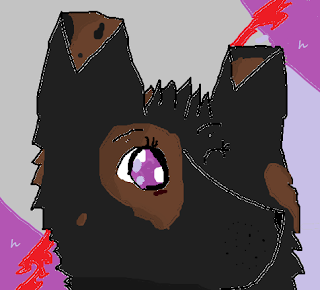 Btw my birthday is coming up so on The Animal Jam Delinquent I will have a drawing contest! Anyway here is a link The Animal Jam Delinquent. Since this post is short here is a fun name generator! ICH LEIBE KARTOFFLEN DU LEIBE KARTOFFLEN DETUSCH LEIBE KARTOFFLEN!!!!!!!!!! KARTOFFLEN!!!!!!!!! I don't know how I feel about it, but I guess it's cool :) And also, a Clover Cloud came out at the Diamond Shop, which I think is pretty cool! Yeah, this seems cool! Anyways, I guess that's about it for this post. Bye! Also, there's a Lucky Clover adventure, and a Lucky Clover den! 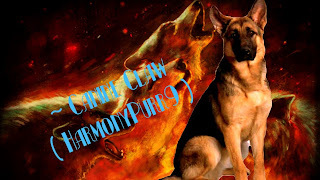 Speaking of the den, you guys should go check out Harmonypurr9's Dog Pack den, it's pretty cool! Anyways, there's always one update where it's super awesome, and that was last update where the Goats came out! Anywho, this post will also consist of the dog pack, because we're going to start the roleplay soon, and I'm very excited :) I guess that's it for this post, I think it was a bit too short, but CanineClaw has posted some cool speedpaints in the earlier posts, that you can check out. Bye for now! 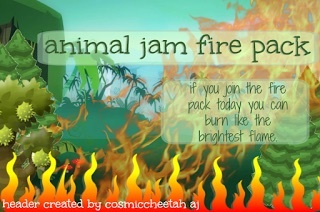 The Animal Jam Fire Pack. Copyright 2016. Picture Window theme. 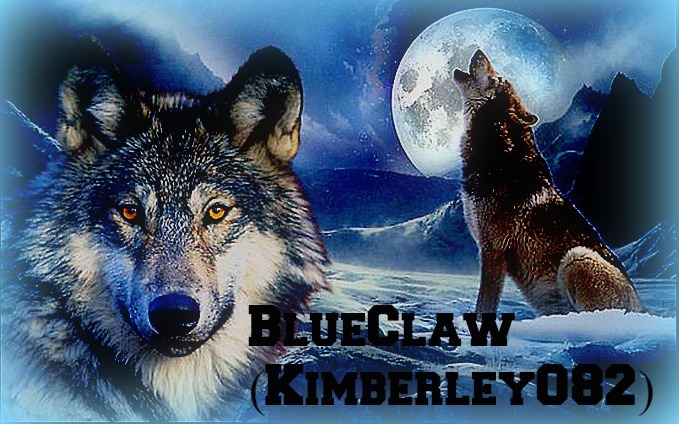 Theme images by konradlew. Powered by Blogger.